Hey guys! 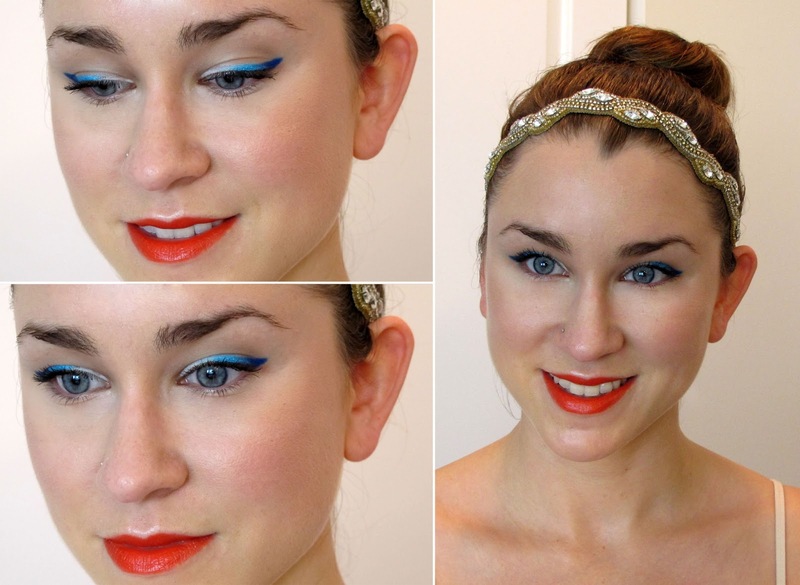 Here is a really simple, and suprisingly easy 4th of July makeup option! It's festive, yet understated enough to wear to just about any occasion! To start, I primed the lid with primer, MAC paint pot in Painterly AND some mattifying powder. 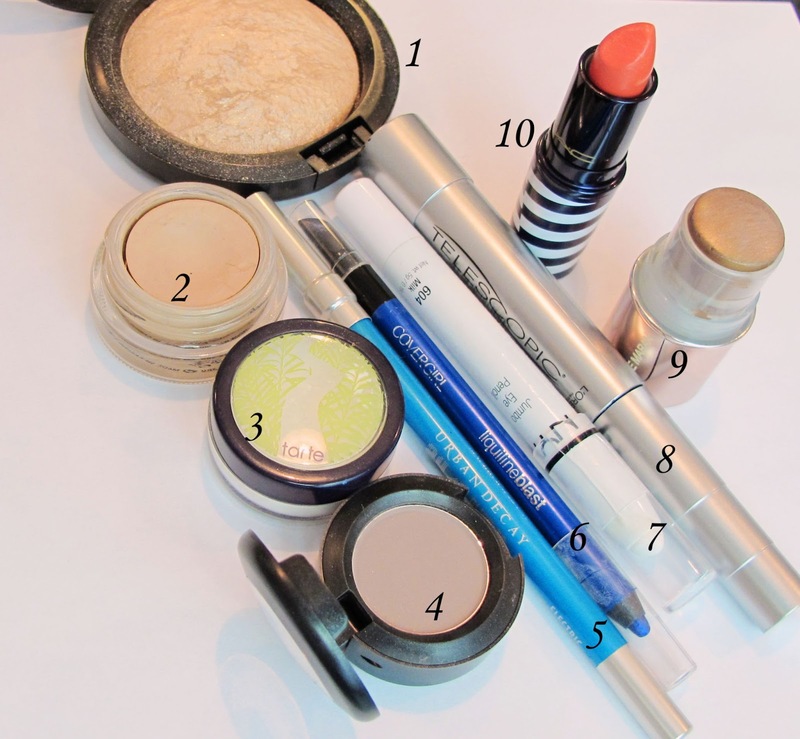 Fourth of July is usually a pretty hot day, so you want to be prepared for some oily lids! I also blended some Quarry eyeshadow from MAC into the crease for definition. Before you go on to the next step, make sure you have some Q-Tips handy as the colors tend to transfer! I used some of my trusty NYX jumbo pencil in Milk for this step, but any white, cream or powder shadow will do. 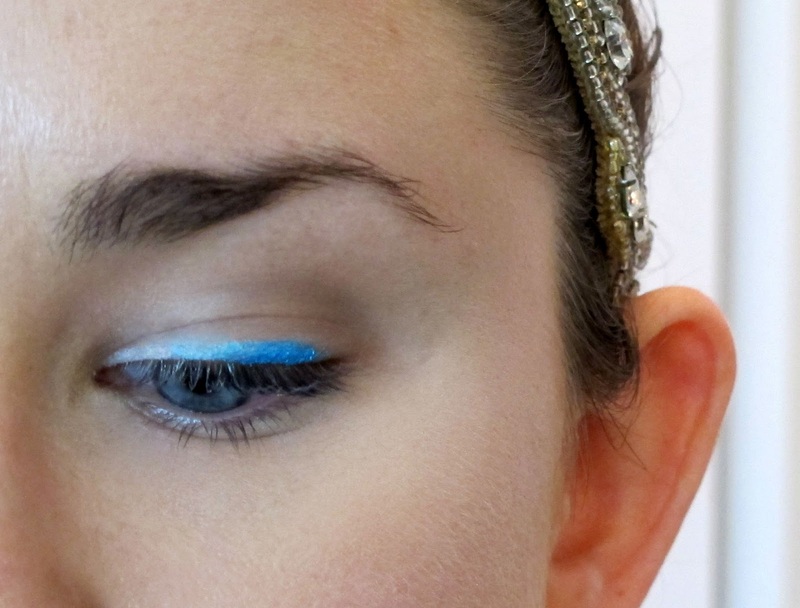 To make this easier, use a fine liner brush to apply the eyeshadow. This gives you much more control Place the white shadow very close to the lash line about a third of the way across the lid. Next take a bright blue eyeliner and draw it directly next to the white another 3rd across the lid. 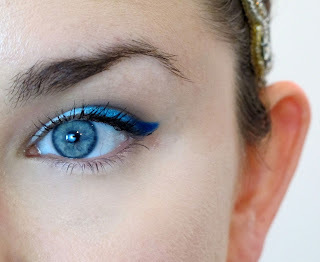 Then, take the fine liner brush you used to apply the white, and blend the two colors together, creating an ombre effect. 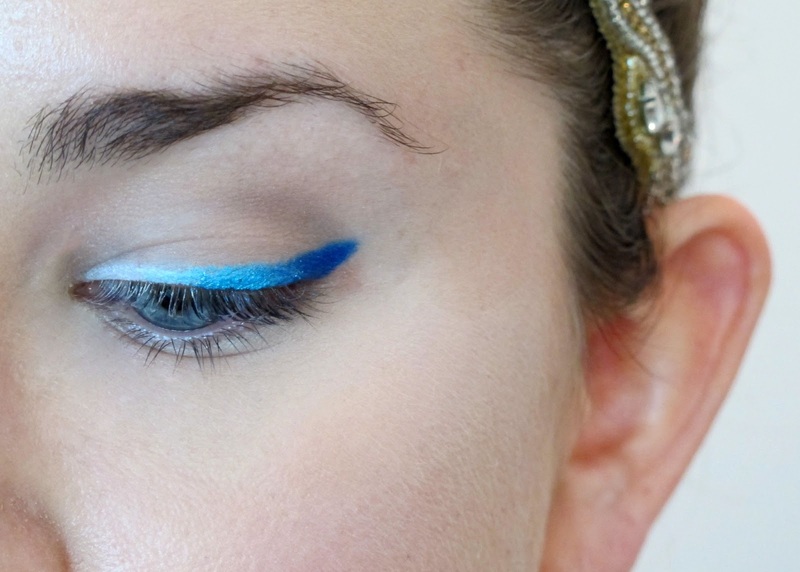 To finish off the liner, take your darkest blue eyeliner and create a wing. Again, take the fine liner brush and blend the two blues together to continue the ombre. 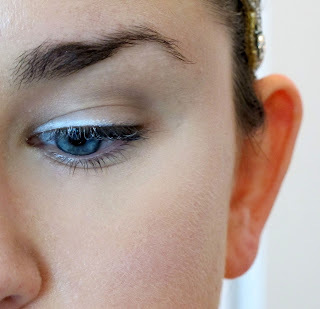 To complete the eyes, apply some mascara. I left the lower lash line completely make-up free! I'm using my favorite red lipstick again! 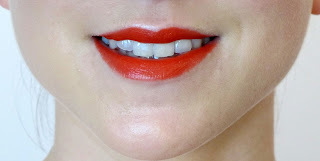 No suprises that this MAC lipstick is perfect for a Fourth of July look! For the cheeks I applied a lot of highlighter and this great bronzing stick from Josie Maran (more info in the materials section). I didn't include a picture because its really hard to pick up the subtle color! Hope you enjoyed! Stay tuned for tomorrow when I will put up some 4th of July clothing options! PS! Don't forget to check out Beauty Banter's Facebook page for update and other pics and info! I am also on Tumblr! I wish that lippy was still available! Thank you! Ugh i know its such a bummer when MAC's limited edition stuff sells out and you cant get it anymore!! Such a pretty idea. My eyeliner never comes out as nicely as yours, but I'm inspired! Practice, Q-tips and makeup remover haha! Already following you! Would've never thought of doing an ombre eyeliner look for 4th of July! Great look! I absolutely adore this look! 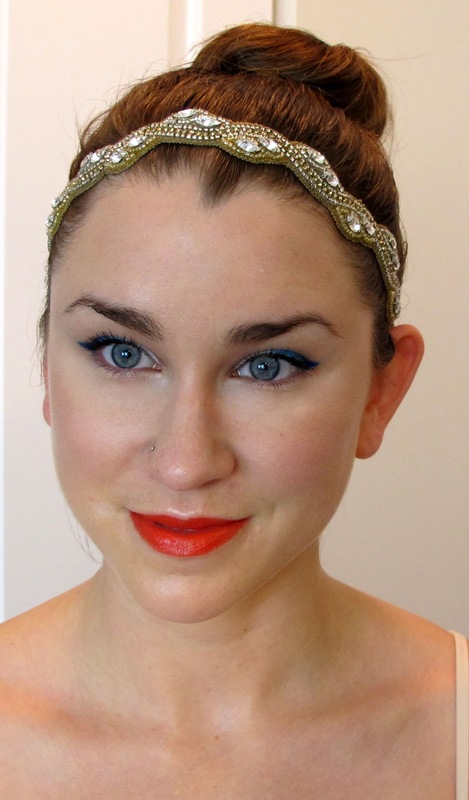 The blue eyeliner really makes your eyes pop :) Love your headband too by the way! Thank you!! Headband is from Anthropologie, they have the best accessories! i totally love this! i will definitely be trying this out on thursday, maybe with a more subtle lip...im not quite brave enough for red! thanks for the inspiration! Look beautiful! Love the play on the 4th of july colors! Thanks, love creating looks for the different holidays! Thank you, so glad you like it! Oh my gosh this is so beautiful! And so creative! You deserve a round of applause for this look, I really have to try it out, it's stunning! such an awesome and creative look ! congrats, it's very pretty !!! Anthropologie! I am addicted to their headbands! That eyeliner is so creative, I love it! You are an amazing make-up artist ( with a pretty canvas to paint!) Love the dramatic, patriotic look, and the headband, too! I love this look! This is a different spin on the ombre look, and I would definitely want to try it out! BEAUTIFUL eye liner! I am so wearing this for the 4th of July!! i just did a FOTD inspired by this! check it out! 4th of July Attire Options!